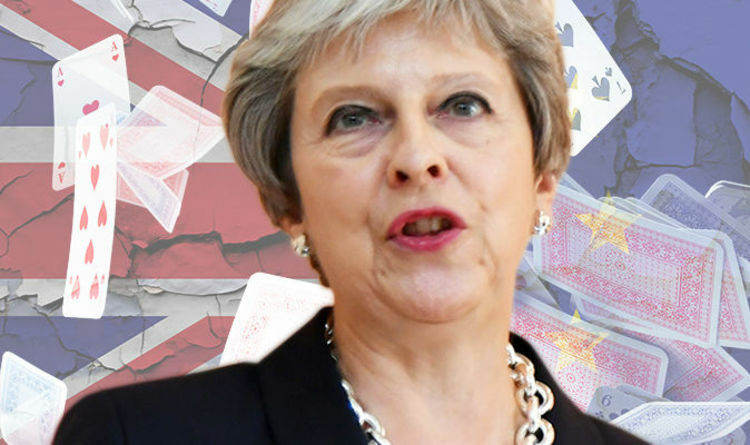 With the pressure on to secure a withdrawal agreement acceptable to both Britain and the EU, Patrick Nally, founder of the International Federation of Match Poker (IFMP), believes Mrs May is too easy to read – and wants to help. He explained: “I’d be happy to give her lessons in poker if she likes. “The reason why I got involved with poker was because I met the head of Harvard Law School. “He told me that in order to teach law at Harvard, you needed to be able to play. “He reminded me that a number of US Presidents talked about poker and used poker skills to negotiate in military and high-stress situations. “I’ve no idea if it’s something Theresa May plays but I doubt it. “Regardless of whether we have a good hand or not, she need to make the other side believe she has a strong one. “You need to be emotionless to be a good poker player and not give too much away – you need to be inscrutable. “The thing is the closer we get to March 29, the more important these techniques become because the pressure is increasing all the time. He suggested that Mrs May was actually in a position of strength because the UK’s destiny – leaving the EU – had already been decided, whereas for the EU the situation was less clear-cut. He added: “They know that we’re leaving. Now it’s all about the terms under which we leave. Successful sports marketer Mr Nally, who apart from his involvement in poker is also an accomplished chess player was re-elected as the Federation’s President last year. The game of poker was developed in the United States in the 19th century, and is popular all over the world. Abraham Lincoln, Franklin D Roosevelt, Richard Nixon and Barack Obama were all keen players, with Mr Obama revealing that he carried a “lucky poker chip” given to him by a voter while campaigning for re-election in 2007. The terms under which Britain will exit the EU are still being negotiated, with no guarantee that any deal will be struck. Last month, Mrs May’s plans seemed to be in tatters after Foreign Secretary Boris Johnson and Brexit Secretary David Davis resigned following the publication of her Chequers strategy. However, the bloc’s Brexit negotiator Michel Barnier yesterday raised hopes that a hard Brexit could be averted when he proclaimed: “We are prepared to offer Britain a partnership such as there never has been with any other third country. The news resulted in the pound making its biggest gains in seven months. Meanwhile Express.co.uk has contacted Downing Street to ask whether Mrs May plays poker, and if not whether she would be interested in taking up Mr Nally on his offer.